This chapter was first presented to a MCISS-South Asia seminar in 1992, and revised as a note prepared for the Center for the Study of Foreign Affairs of the Foreign Service Institute, U.S. Department of State. Both were based upon research conducted during the course of a joint U.S.-Russian study of Kashmir and Afghanistan in Nepal, India and Pakistan in March-April, 1992. See Stephen P. Cohen, Sergei Kamenev, Vladimir Moskalenko and Leo Rose, Afghanistan and Kashmir (New York: The Asia Society, and Moscow: The Russian Oriental Institute, 1993). I have made some minor additions in view of a year in residence with the Ford Foundation, New Delhi, 1992-93. Earlier this month, as a part of Exercise Bahubali, the Indian Air Force (IAF) used its C-17 Globemasters to carry, as this newspaper reported, tanks and armoured personnel carriers to Leh airport. The objective was to demonstrate capability to move men and equipment rapidly to border areas. Other than eight C-17’s, IAF also deployed four IL-76’s and four AN-32’s to showcase its strategic lift capability. Meanwhile The Indian Express has reported that the IAF is planning to deploy, in the eastern sector, six units of Akash missile systems along with a squadron each of Apache and Chinook helicopters and Rafale fighter aircrafts once they are inducted. An additional squadron of Sukhoi Su-30MKI may also be deployed in the eastern sector. Besides, India is speeding up its infrastructure projects in the border regions close to China. What is prompting this flurry of activity? James Mattis finally submitted his resignation as U.S. Secretary of Defense last week as it had become untenable for him to continue to head the Pentagon due to differences with President Donald Trump on the withdrawal of American troops from Syria and Afghanistan, among other issues. These decisions have once again underscored Trump’s unmatched tendency to shock his own administration. A significant withdrawal of American troops from Afghanistan may be imminent, reflecting the strategic incoherence of the Trump administration, which is earning notoriety for pursuing an isolationist and anti-interventionist foreign policy to appease its core political base. Moreover, Mattis was not in agreement with Trump’s callous treatment of America’s traditional allies and forsaking security commitments in volatile regions. There is no doubt that any major reduction in American military presence before a peace deal with the Taliban is concluded would be a terrible mistake as it is only likely to bring more fighting to war-torn Afghanistan. Any spike in internal instability in Afghanistan could also have larger geopolitical ramifications as it is likely to lead to increased competition among Pakistan, Russia, India and Iran for influence in Kabul. One of the major blind spots in how the U.S. national security apparatus responds to and formulates policy for issues that arise across the Eurasian heartland is how the American government has chosen to bureaucratically define the region. Namely: the continued inclusion of Russia within the diplomatic confines of a larger European bureau has intellectually limited assessments about Russia’s position in the world by framing Russian action primarily through a European lens. Not only does this undercount Russia’s ability to be a major player in the Middle East, South Asia and East Asia, it has also, in my view, tended to overweight the importance of the Baltic littoral to Russian policy. Poll U.S. experts and at the top of any risk prediction for 2019 will be the threat of a Russian incursion into the Baltic states—and the importance of continued efforts to reinforce NATO’s north-eastern frontier as a result. At the same time, bureaucratic lines drawn both for the State and Defense Departments detach much of Central Asia and assign it, either to be grouped together with India and Pakistan (for State) or with the Arab world and Iran (in the case of the Pentagon). In both cases, much of the Eurasian core is relegated to second-tier status in terms of U.S. attention and priorities. 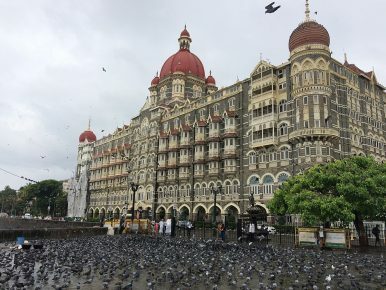 Last month, the world paused to remember the tenth anniversary of 26/11 — the 2008 attack launched by Pakistan-based Lashkar-e-Taiba (LeT) in Mumbai, India’s commercial capital, in a series of carefully planned and orchestrated attacks. Official Pakistani connections to LeT added an inter-state dynamic to the attack, triggering a major India-Pakistan crisis — one of several in a long history of subcontinental crises that have sometimes resulted in military mobilization and outright conflict. 26/11 spanned three days and was transmitted in real time on our television screens. In its aftermath, the Indian news media was censured for flouting journalistic ethics on the ground and in newsrooms by revealing operational details and resorting to invective and jingoistic language to frame events. Ten years on, however, media behavior, determined to a large extent by the nature of its interaction with policymakers and the public, remains an understudied dynamic in inter-state crises in and beyond South Asia. The ongoing deployment of high-profile missile systems in disputed zones across the South China and the diplomatic sabre-rattling surrounding them can obscure the subtle, but no less consequential means employed by the great powers to consolidate their military presence in the Pacific region. The use of unmanned stealth vessels in the Pacific briefly became a topic of heated international discussion in December 2016, when China’s People’s Liberation Army Navy seized an American underwater surveillance drone that was about to be retrieved by sailors from the USNS Bowditch. The US lodged a formal protest for the drone’s return as a “sovereign immune vessel of the United States,” a demand to which China eventually acceded. Donald Trump and Xi Jinping might have used their meeting at the G20 summit in Buenos Aires to call a shaky truce to the U.S.-China trade war, but prospects of a durable economic peace between the two countries remain bleak. Some of the biggest and most serious barriers to a lasting trade deal exist on the U.S. side of the relationship. For beneath the bluster and the bombast, the reality is that the Trump administration seems to be divided over the true purpose of the trade war. And without a clear idea of why it was necessary to start the conflict, there can be no hope of finding an agreement to bring about its end. 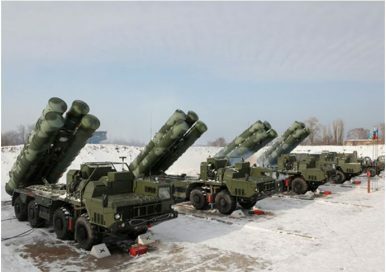 The People’s Liberation Army’s Rocket Force (PLARF) has conducts its first live fire drill of its newly acquired first regimental set of Russian-made S-400 Triumf long-range interceptor-based air defense systems (NATO reporting name: SA-21 Growler), according to Russian media reports. The test purportedly took place in November at an undisclosed location. According to the report, the S-400 air defense systems intercepted a “simulated ballistic target” around 250 kilometers (155 miles) away. According to the report, the PLARF actively used jamming equipment to test the S-400’s ability to operate in an electronic warfare environment. None of the information above could be independently verified. PROFESSOR michael cox is Director of LSE IDEAS and Emeritus Professor of International Relations at LSE. He is a renowned international lecturer who has published extensively on the United States, transatlantic relations, Asia’s rise and the problems facing the EU–and the impact these changes are having on international relations. TAN SRI DR MUNIR MAJID is Chairman of CIMB ASEAN Research Institute, and also of Bank Muamalat Malaysia, of the Financial Services Professional Board, of ASEAN Business Advisory Council, Malaysia, as well as President of the ASEAN Business Club. He sits on the board of the Institute of Strategic and International Studies (ISIS), is an Honorary Fellow of LSE and Visiting Senior Fellow LSE IDEAS. 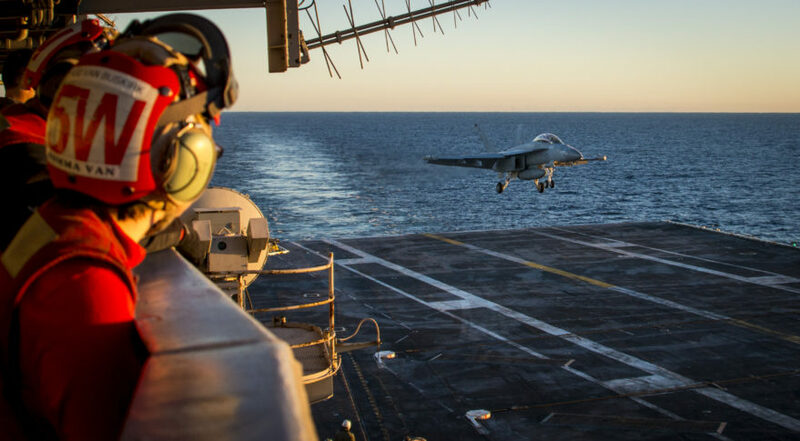 In their quest to alter the post–Cold War world order, revisionist nations such as Russia, China, and Iran are increasing their military capabilities to challenge the traditional U.S. supremacy in arms. These potential adversaries are also linking their growing military power to a willingness to employ it in an integrated fashion with informational, economic, political, and technological means to achieve their objectives, often while remaining below the threshold of a decisive U.S. response. To counter this new threat paradigm, the U.S. Army and Marine Corps have developed a joint operational approach known as multidomain battle (MDB). Although it remains in the conceptual phase, both Services envision MDB as the combined arms concept for the 21st century based on the assumption that future near-peer adversaries will contest U.S. superiority in all domains: on land, at sea, in the air, and throughout the electromagnetic spectrum.1 MDB’s animating principle, therefore, is the employment of ground forces to gain temporary windows of advantage against a near-peer foe in order to enable other components of the U.S. joint force. Trump’s Syria Decision Essentially Correct. Here’s How He Can Make the Most of It. President Trump’s Dec. 23 tweet promising a “slow and highly coordinated” withdrawal of U.S. forces from Syria may ease the gnashing of teeth among officials and analysts in Washington, but it won’t end the criticism of his decision. That is precisely why the president should view the hullabaloo that erupted after he announced the Syrian pullout as an opportunity to take a number of steps to make the most of his essentially correct, but widely unpopular, move. Many observers have asserted that the withdrawal gives victory in Syria to Russia, Iran and the Syrian government. That’s absurd. Bashar al-Assad’s regime already controls about two-thirds of Syria, including all of the major cities. The portion of Syria that U.S. forces control alongside their Syrian Democratic Forces (SDF) allies is mostly either desert or drought-prone plains. The oil fields there produce high-sulfur, low-value crude, and production has long been diminishing. Oil revenue made up only about 5 percent of Syrian gross domestic product before the 2011 uprising, according to the International Monetary Fund. In sum, holding northeastern Syria would not have enabled Washington to leverage any important concessions from Damascus, Tehran or Moscow. WASHINGTON — President Trump is considering an executive order in the new year to declare a national emergency that would bar US companies from using telecommunications equipment made by China’s Huawei and ZTE, three sources familiar with the situation told Reuters. It would be the latest step by the Trump administration to cut Huawei Technologies Co.s Ltd. and ZTE Corp., two of China’s biggest network equipment companies, out of the US market. The United States alleges that the two companies work at the behest of the Chinese government and that their equipment could be used to spy on Americans. President Donald Trump’s sudden order to withdraw from Syria has kicked up a firestorm of protest amongst Washington DC’s foreign policy establishment. However, it is strange that the same establishment that has embraced an “era of great power competition” would categorically oppose a withdrawal. If the United States must bring to bear all of its national power against a revisionist Russia and China, then we must consider leaving Syria. As tragic as the civil war has been, Syria remains a relative strategic backwater, especially when experts are considering the need to once again engage with hostile powers in Eastern Europe and East Asia. The European Union is currently discussing new tools to impose targeted sanctions against individuals and institutions responsible for human rights violations. This proposal seeks to give the European Union additional options to impose pressure on governments and institutions, though the effectiveness of targeted sanctions is still a matter of debate within the bloc. Political interests and national strategies will continue to influence the European Union's foreign policy, which means that a new sanctions regime would still face the same kinds of limits that characterize the existing ones. The European Union is working on a new institutional framework to punish human rights violations around the world. In early December, EU member states endorsed a Dutch proposal to target people and entities that violate human rights with punitive measures such as asset freezes and travel bans. While the European Union has used human rights violations in part to justify sanctions in the past, the Dutch proposal would make the issue the primary trigger of sanctions. From the start, the United States was understood to be both country and cause, a distinct national community and the standard-bearer of a global political revolution. Destiny would take a long time to play out. Until it did, until the surface of the globe was covered with a fabric of democratic republics, the good new country would have to survive in the bad old international system. “Probably for centuries to come,” Adams guessed. So how should the nation behave during the lengthy transition? Many Organization for Economic Cooperation and Development (OECD) nations have aging populations, with substantial fractions of their populations exceeding 55. As more of this population retires and people live longer on average, a corresponding number of younger people will have to move into the workforce to maintain a steady share of the working population for the entire nation. First, the immigrants can substitute for natives who are retiring from the workforce. Second, working-age immigrants are likely to have children, who can contribute to the future workforce of the nation. The annual budget battle is at its peak and Washington continues to flaunt its remarkable dysfunction. This fiscal irresponsibility affects more than domestic programs. In the coming years, it is likely to drive U.S. foreign and military policy. The U.S. government has no more important duty than defending the nation. However, providing for the “common defense,” as the Constitution puts it, is remarkably easy. America has vast oceans east and west and peaceful neighbors to the north and south. Today only Russia, with an arsenal of nuclear-tipped missiles, could launch a serious attack on America. However, Moscow has no incentive to do so, since the result would be devastating retaliation. China’s military is expanding but directed at preventing Washington from dominating the People’s Republic of China at home and in its neighborhood. In the age of social media and instant gratification, there can be little more satisfying than an old-fashioned long read. In 2018, Foreign Policy offered up a surfeit of impressive stories at length. Here is a sample of some of the best work. These stories are joined by more than their word count: They are well argued, they’re deeply reported, and they span the breadth of the globe. In March 2017, United Nations officials Zaida Catalán and Michael Sharp were brutally murdered while on an investigative mission looking into the extrajudicial deaths of Congolese citizens in the Democratic Republic of the Congo. For the past year, the deaths of Sharp and Catalan had been officially described as a random ambush, a tragic loss, and dismissed as the work of a rebel militia. But after reviewing thousands of pages of material, and conducting dozens of interviews, FP’s Colum Lynch, working in collaboration with Radio France Internationale, Le Monde, Sveriges Television, and Süddeutsche Zeitung, found that the United Nations had buried evidence these two workers had been targeted by what looked like a government setup. In other words, their death was not random; it was pre-arranged, and the perpetrators have yet to be brought to justice. Meanwhile two families, one in Kansas and one in Sweden, continue to grieve. Silicon Valley is the home to the transistor and the birthplace of the IT industry. Boston is the home of prominent universities and technology companies such as Raytheon and Boston Scientific. So where will the country’s hub of cybersecurity innovation reside? A new paper argues that a nucleus of new cybersecurity technologies may struggle to form in the United States. Because the Department of Defense’s research facilities are dispersed throughout the country and located in smaller metropolitan regions, the Army is in danger of stagnating when it comes to technology innovation, a Dec. 18 paper in the Army’s Cyber Defense Review argued. The biggest downside of the state's desire to control information is that we end up living in an existing social structure which only creates a specific set of desires and motivations. Pre-emptive surveillance would make sure that movements which may now be at the margins of society would never even end up on the centre-stage or gain legitimacy. News reports have indicated that the government is proposing draft amendments to the IT Act, making it mandatory for online platforms to detect and trace “unlawful content” as well as facilitate the breaking of end-to-end encryption. If the historical precedents to such legislations are to be considered, then they point towards the deeper anxieties of a nation state which force it to distrust its own citizens. In 1998, Russia approached the UN's committee on disarmament and international security, proposing a resolution to officially recognise the term “information security” instead of the popularly cited “cyber security”. 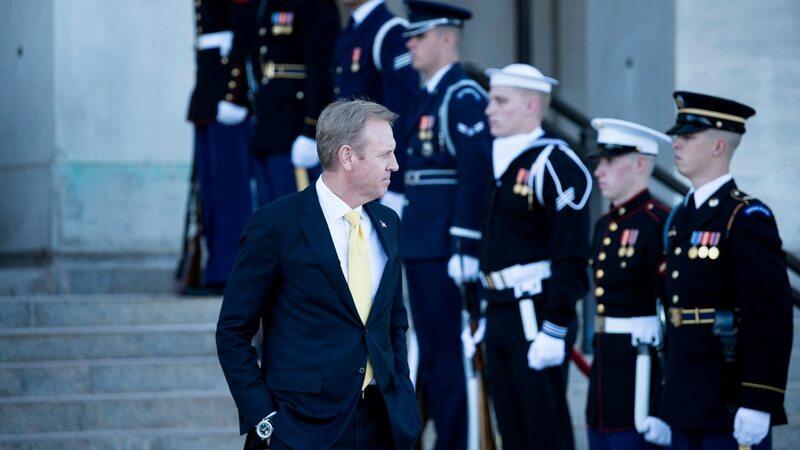 President Donald Trump announced in a Dec. 23 tweet that Patrick Shanahan will become acting secretary of defense Jan. 1, replacing outgoing Pentagon chief Jim Mattis two months early. While it is not clear how long Shanahan will remain in the job, he is on the short list of officials who could become the full-time Pentagon chief. Regardless of the length of his tenure, Shanahan, the Pentagon deputy since 2017, has been one of the Pentagon’s top advocates for stronger contractor cybersecurity and IT acquisition and will lead the department months after it was given expansive and loosely defined authorities to conduct offensive cyber operations. How Shanahan will handle these greater cyber authorities, even on a temporary basis, remains an open question that will be tested immediately amid evolving challenges, such as an alleged hacking campaign from China. Everyone likes to talk about the ways that liberalism might be killed off, whether by populism at home or adversaries abroad. Fewer talk about the growing indications in places like Denmark that liberal democracy might accidentally commit suicide. As a philosophy of government, liberalism is premised on the belief that the coercive powers of public authorities should be used in service of individual freedom and flourishing, and that they should therefore be constrained by laws controlling their scope, limits, and discretion. That is the basis for historic liberal achievements such as human rights and the rule of law, which are built into the infrastructure of the Scandinavian welfare state. Yet the idea of legal constraint is increasingly difficult to reconcile with the revolution promised by artificial intelligence and machine learning—specifically, those technologies’ promises of vast social benefits in exchange for unconstrained access to data and lack of adequate regulation on what can be done with it. Algorithms hold the allure of providing wider-ranging benefits to welfare states, and of delivering these benefits more efficiently. The Air Force is developing software and ground equipment to boost the protection of the Wideband Global satcom system. First in line for the upgrade are naval carrier strike groups. 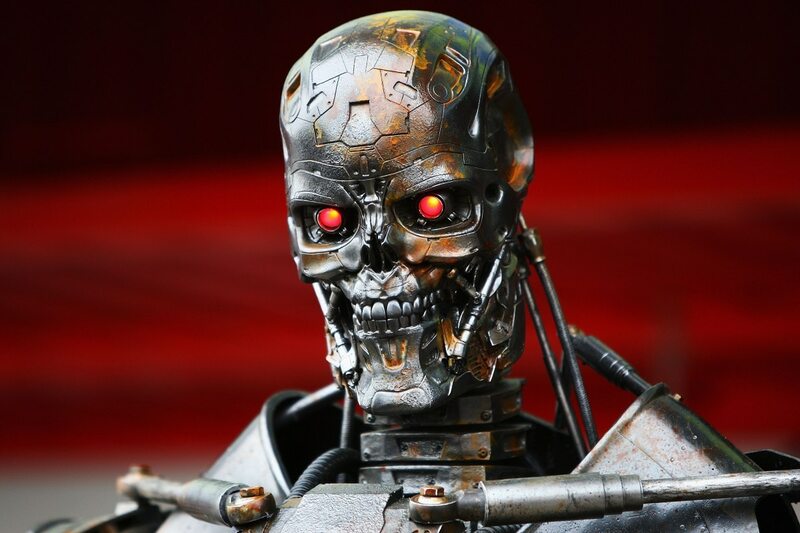 The Navy will get the new technology in 2022, about 18 months sooner than previously planned. WASHINGTON — The Air Force is cyber hardening military satellite communications equipment amid worries that foreign hackers could infiltrate U.S. networks. “Adversaries are getting better and more able to penetrate our unclassified or barely protected systems,” said Col. Tim Mckenzie chief of the advanced development division for military satellite communications at the Air Force Space and Missile Systems Center. The bulk of military satcom services are provided by the Air Force Wideband Global Satcom, or WGS, satellites and by commercial operators. All these systems require additional protection from cyber attacks, Mckenzie told SpaceNews in a recent interview. 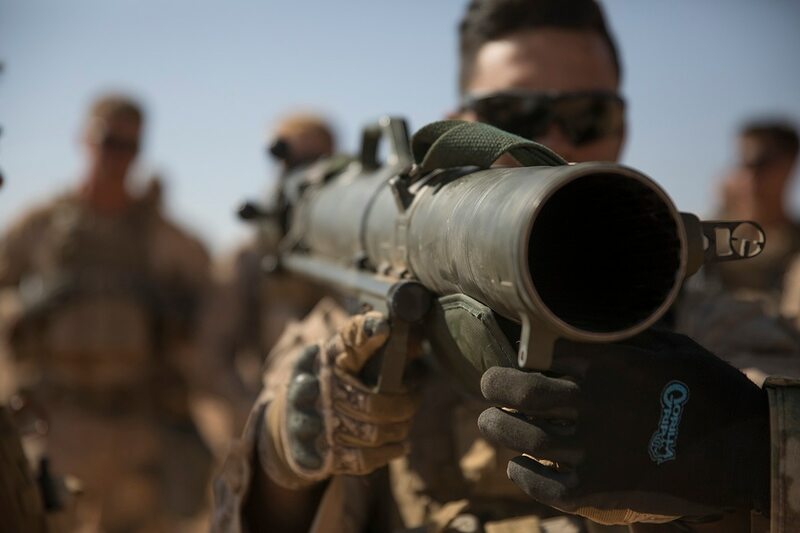 The top Marine wants to kit out every rifle squad with the 84mm recoilless rifle known as the Carl Gustaf and those launchers will start to find their way into the hands of Marines potentially by 2020. The decision to supply the multimission Gustaf to the grunts was part of an effort by Commandant of the Marine Corps Gen. Robert B. Neller’s modernization efforts to make the force more lethal. Marine Corps Systems Command says the Corps plans to buy about 1,073 launchers and a contract should be awarded between March-April 2019. “This is an Army led program and the Marine Corps will be leveraging their existing contract for the launchers,” Barbara Hamby, a spokeswoman with Marine Corps Systems Command said. “The earliest fielding is planned to begin either in the second half of fiscal 2020 or the first part of fiscal 2021,” Hamby said. Love to repeat what’s become my favourite line — I TOLD YOU SO! Immediately after his nomination by the Republican Party as its presidential candidate I had written that once in the White House, Donald Trump would be so self-centered and concerned only with advancing America’s narrow interests that Delhi should pragmatically prepare to get out of its traditional policy of leaning on big powers — the Soviet Union pre-Cold War end and in the new century, the US — for the country’s strategic security. And begin relying on itself and its national resources for its own protection because it will be compelled by the emerging circumstances to do so anyway. And hence, that Trump’s election would be a good thing because, finally, the value of self-reliance, especially in arms and national security, will be appreciated. (“Why Donald Trump is good for India”, Open magazine 20 July 2016, http://www.openthemagazine.com/article/politics/why-donald-trump-is-good-for-india). The United States’ top diplomat, Secretary of State Mike Pompeo, visited Pakistan this month, along with the chairman the US Joint Chiefs of Staff, General Joseph Dunford. This was the first high-level visit by US officials to the country after the new government in Pakistan assumed office. However, this visit failed to restore normalcy in bilateral relations. Pakistan-US relations started deteriorating after President Donald Trump assumed office. In a New Year’s tweet, Trump blamed Pakistan for reciprocating $33 billion in US aid with deceit and lies. He threatened to cut down the aid to Pakistan and has made good his claim. Just a few days before Pompeo’s visit, the US announced it would cut $300 million in military aid to Pakistan. Moreover, the new Pakistani government led by Prime Minister Imran Khan was contemplating applying for a financial bailout package from the International Monetary Fund (IMF). However, Pompeo opposes this proposed bailout package on the grounds that Pakistan would use the funds to repay Chinese loans. Peering into the murky world of local government finance in China has become an art form. With limited data, building a big picture can at times resemble painting a masterpiece without mixing primary colors. To illustrate the complexity of the problem, the Shanghai University of Finance and Economics conducted its annual survey on the 31 provincial-level regions on their assets and liabilities. The results were released just before the festive season and they were startling. High-tech and manufacturing hub Guangdong topped the poll when it came to transparency. The South China province scored 69.38 after supplying nearly 70% of the information requested by researchers from the university’s Public Policy Research Center. With a large rise in U.S. defense spending and a new National Defense Strategy released in January, 2018 was the year the Trump administration left its mark on U.S. military policy. Secretary of Defense James Mattis began reorienting the military away from the counterterrorism fight of the past two decades and toward competition with near-peers like Russia and China. The Pentagon began preparations to launch a new branch of the military, the Space Force. And top military officials declared the administration’s strategy in Afghanistan a success—even as the Taliban gained control of more and more swaths of the country. 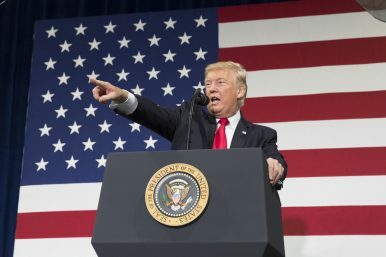 To cap off the year, President Donald Trump said he would withdraw all U.S. troops from Syria, drawing criticism from some lawmakers and experts who compared the decision to President Barack Obama’s hasty retreat from Iraq, and prompting Mattis to resign. The weak Chinese economic data sent US stocks careening lower last week as investor pessimism increased even though estimates for Q4 GDP growth increased. The Atlanta Fed GDP Nowcast changed from expecting 2.4% growth to 3% growth. This tracking estimate gets more accurate as the preliminary GDP estimate comes closer to being released. The issues with China shouldn't be surprising, but they still affected markets. China's growth has been slowing for years, with only a slight uptick in 2017. There were some solid economic reports earlier this year because firms increased their business before tariffs were implemented. In that case, the tariffs actually boosted growth temporarily. As China’s role as a major power in international affairs is growing, the Chinese government is becoming more active and more inﬂuential in the United Nations (UN). This is likely to have – or, in the eyes of some, already has – a significant impact on the UN’s (future) functioning. Growing Chinese inﬂuence is important for all UN members, and particularly so for Western countries, including the Netherlands, which strives to maintain and strengthen the international legal order as a principal foreign policy aim. This report by Maaike Okano-Heijmans and Frans-Paul van der Putten, with contributions from Etienne Béchard, Louise van Schaik and Vishwesh Sundar, aims to provide a better understanding of the process currently underway. It does so, first, by analysing how and in which direction China’s involvement in the UN is evolving. Next, the discussion turns to the question of how China’s growing involvement is relevant to the setting and the developing of norms and standards within the UN. Finally, the authors explore where European countries and China have common interests, and where their interests are conﬂicting through presenting three case studies in three thematic areas, namely human rights, development finance and climate change. After Russia’s annexation of Crimea, a new military jargon appeared on the strategic studies scene: hybrid warfare. It has been used since then as a theoretical framework to depict a new way of conducting warfare. Unlike asymmetric warfare, which simply relies on the use of the so-called indirect approach – e.g. non-conventional means of war, such as terrorism, insurgency, and cyber warfare – hybrid warfare distinguishes itself for the simple fact that it envisages the multiple, simultaneous use of different types of operational systems, which range from the conventional to the unconventional spectrum. The key word that defines it at the operational and strategic level is “simultaneity.” In other words, hybrid warfare, to be such, requires the ability to exploit interoperability between different military as well as civilian sectors, all at the same time. Due to its highly flexible operational construct, hybrid warfare’s final objective is to deceive the opponent by merging both conventional and unconventional operations within the so-called “grey” areas, that is, blurry areas where it becomes increasingly difficult to distinguish peacetime from wartime operations and vice versa. Over the first two years of the Trump administration, the United States has simultaneously aggrieved Japan, a pivotal US ally in Asia, while also taking a more confrontational stance against China. This has raised broad concerns about the future of US involvement in Asia and the basis of support for the US-Japan alliance. 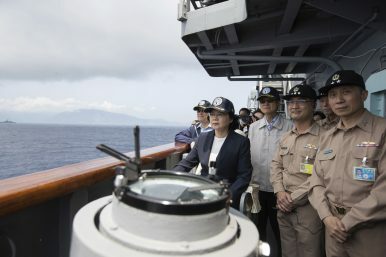 While the American public is hesitant to get involved in a conflict between China and Japan, public support for US bases in Japan is at an all-time high, and Americans across party lines want to build strong relations with US allies in Asia. Americans view the US-Japan relationship as an important one for the US economy (91%) and for US security (79%). Across the political spectrum, Americans prefer closer ties with traditional allies (66%), even if doing so diminishes US relations with China. This is one of the few issues where the gap between Republicans and Democrats narrowed in the 2018 survey. Here in Brexit-crazed Westminster, that scene sounds all too familiar. There are now fewer than 100 days until we are scheduled to leave the European Union on March 29. As European Commission bigshots like to say, "the clock is ticking." Heaven knows what is going to happen: Will British Prime Minister Theresa May — still alive, and even a little stronger than she was a couple of weeks ago — elicit assurances from Brussels that will help her sell her Withdrawal Agreement deal to a skeptical House of Commons? Will pro-Remain MPs somehow force a second referendum that could stop Brexit? Will we sail out of the EU without a treaty? On the campaign trail, Donald Trump vowed to put an end to nation building abroad and mocked U.S. allies as free riders. “‘America first’will be the major and overriding theme of my administration,” he declared in a foreign policy speech in April 2016, echoing the language of pre–World War II isolationists. “The countries we are defending must pay for the cost of this defense, and if not, the U.S. must be prepared to let these countries defend themselves,” he said—an apparent reference to his earlier suggestion that U.S. allies without nuclear weapons be allowed to acquire them.